Looking to the right as we leave old school grounds we visualise the scene on the Main Street on Fair Day. The fairs in Killimor were about the biggest in East Galway excepting Loughrea and Ballinasloe. There were thirteen fairs held each year, two in January and one in each of the other months, and were attended by all the leading exporters and dealers in Ireland. Convey their animals to and from the fair. On the eve of each fair, prospective vendors arrived in Killimor, selected an area of the side-walk of the street and put up a pen in which they displayed their animals next day. Owing to the dearth of lorries, tractors and trailers, some people employed men, known as drovers, to convey their animals to and from the fair. The most memorable of these drovers were Waltie Meers from Loughrea and O’Mearas of Borrisokane. Many farmers drove their own stock along the roads, with animals making the odd foray up a boreen or through an open gate! And so began the fair in the early morning. Buyers strolled around, seeking a bargain, and judging the qualities of various animals. Teeth, horns, neck, flank and udders were carefully studied and assessed; good points were praised by vendors and were castigated by buyers. Prices were offered and refused and finally the bargain was sealed with much spitting on, and slapping of hands. Money was handed over later in the day and the luck penny given to the buyer. Animal noises, raised voices of the bargain makers and general commotion pervaded the atmosphere. The odd loose animal was known to wander in through a shop door, causing consternation. Selling an assortment of sweets. Travelling salesmen, known as “cheap jacks”, peddled their wares at the fair, either in “standings” or in the open. They were blessed with the “gift of the gab”, thereby enticing customers to their stalls to buy new or second-hand clothes, boots, harness or farm implements. A “stand”, selling an assortment of sweets such as Bull’s Eyes, Peggy’s Leg and Liquorice was in a conspicuous position near O’Meara’s gable end. Butchers did a particularly brisk trade on fair days with men buying fresh meat for home consumption. Entertainment was provided by Ballad Singers who also sold ballad sheets for 1d. each. Though common at fairs in some areas, there is no account of Faction-Fighting at Killimor fair though the odd argument may have arisen! There were at least three Gardaí and a Sergeant present on the street, just in case! Hunger was assuaged at what were then called “Eating Houses”, where customers availed themselves of a fry or a mutton chop. Bargains being completed – or not, as the case may be, men retired to the local hostelries to quench a mighty thirst, discuss the affairs of the day, hurling matches and political matters. Some may have imbibed “one over the eight” before merrily setting out for home. The aftermath of the fair was not very pleasant, especially for those charged with cleaning the street and carting away the animal excrement. Cattle were walked from surrounding areas. Certain fairs in Killimor proved very important. One such fair was when women, who did not usually attend fairs, had a bonham bought for them. This particular bonham was fed and nurtured by the woman of the house and eventually sold, providing money for the house or for personal use. Of particular significance was the November Fair, which, in older times, was a three day event and was known as the “Old Fair Day” or the “Fair of the Bush”. Cattle were walked from surrounding areas, but mostly from West Clare, Gort and Ardrahan, arriving on 21st November. Fair Day was on the 22nd when cattle were brought out to the Fair Green (near Hearnsbrook) for which a toll was collected by a local man named Johnny Connors. 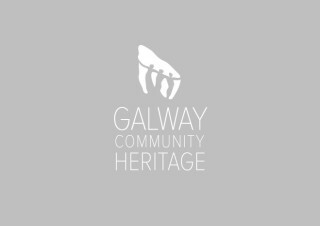 He had the Toll Rights, which were authorised by Galway County Council. He also had an official agreement with P.V. O’Meara for the use of the scales (situated to the west of O’Meara’s Public House) to weigh the cattle on that particular day. Any unsold stock were brought back from the Fair Green into the town and sold later in the day or on the following day. 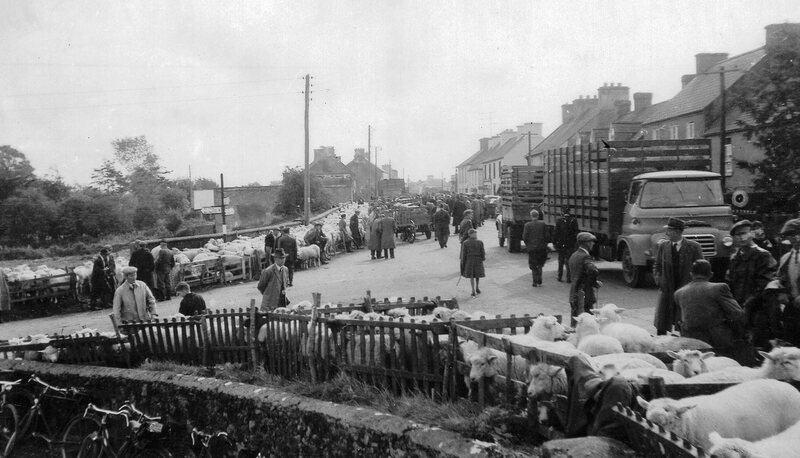 Cattle were then driven to Ballinasloe Railway Station for transport to various locations. 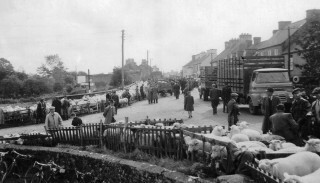 There was no pig fair as such in Killimor, but pigs were collected every Tuesday. They were weighed on O’Meara’s scales and brought by lorry, by the various dealers, to the factory for slaughter. At every fair cartloads of bonhams were sold opposite Soughleys, now the Heritage Centre. The story goes that the bonhams were often washed with buttermilk to make them look good! The last fair in Killimor was held in the early 1970s. The question may be asked nowadays – How did traffic get through the town during the fair? In truth, there was very little traffic in the 1950s and 1960s. Cars and other vehicles became plentiful in the 1970s, but by then, the fairs had become defunct and marts had taken over. The last fair in Killimor was held in the early 1970s. The reason for the decline in fairs was due to a degree, to the scarcity of manpower, young men having emigrated to England to work. To add to that, many townspeople countrywide, objected to the inconvenience and hygiene aspects involved. So began the era of the Marts.